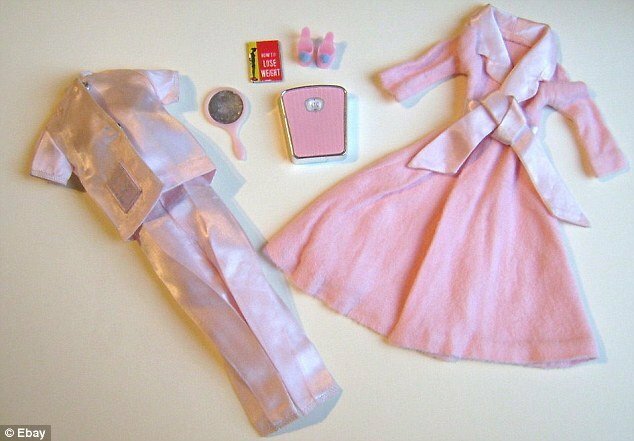 1965 Slumber Party Barbie came with a set of pink bathroom scales, permanently set to a rather scrawny 110 lbs (50 kg), and a diet book instructing her on how to lose weight. The controversial doll also included a pink satin pyjama top and bottoms, a pink robe with a sash, pink open-toe heels with blue pompoms, pink curlers, bobby pins and a blue brush and comb. The scale was removed just one year later, and the 1966/7 version renamed Barbie Sleepytime Gal, but she still came equipped with her diet book and its one simple rule. These days, a healthier body image is being impressed upon young girls who wish to play with a bedtime Barbie. Barbie Pyjama Doll comes with accessories including a lamp for reading, an eye mask for getting an undisturbed night’s sleep, face cleanser, a mirror, a cuddly bunny, a hairbrush and a mug of hot cocoa.